Narre Warren is a thriving and busy suburb of Melbourne. Because there are so many excellent amenities and housing options here, it’s popular with families looking to live in a pleasant part of town with good schools and entertainment facilities for children. Skip bins Narre Warren are often in high demand due to the busy nature of the area. With families moving in and out, there’s often call for skip bins Narre Warren. Best Price Skip Bins are able to provide Narre Warren skips within 24 hours of your first contact with us. Our aim is to not only provide a fast service but also the cheapest around. We make it our business to use our connections within the skip bin industry, to get you the cheapest possible skip bin available to you. As soon as you make your booking, we’re on the case and looking at the best available options. We’ve been in the industry for years and have extensive links, so we leverage these to your advantage. 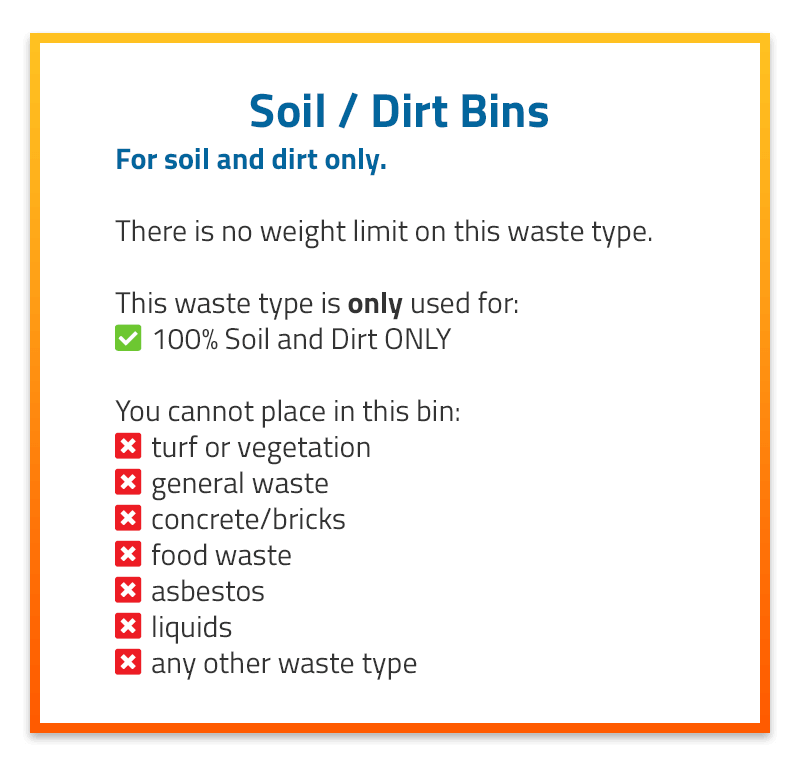 All you need to do is enter the postcode for Narre Warren choose your bin waste type, skip bin size and select your dates. We will then give you the best price available for Narre Warren skips. What can you put in a skip bin? There’s not much you can’t put in a skip bin! 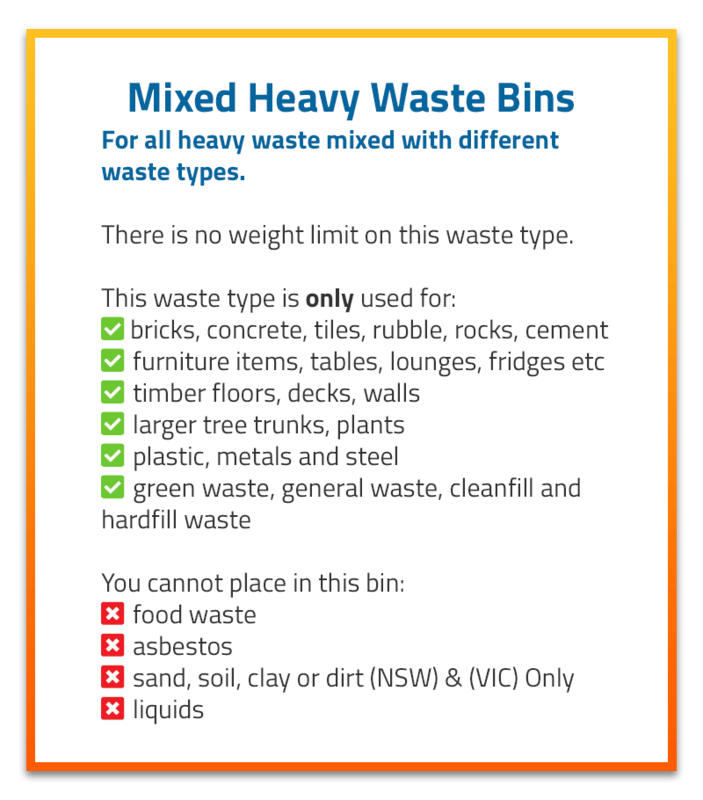 We cannot accept asbestos or liquids but we do accept green waste, bricks and rubble, sand, soil and general waste. This includes old tyres and mattresses. We ask that with mattresses, customers just remove the outer material off the springs and put them separately in the skip bin. The springs can then be disposed of as scrap metal and the material is general waste. No more extra dumping fees! If you have any questions which you’d like to ask us regarding waste you’d like to put in a skip bin, don’t hesitate to get in touch with us. Our friendly team is always on hand and happy to advise! Skip bin hire Narre Warren is available in many different sizes and types. For smaller amounts of rubbish you may prefer to hire mini skips Narre Warren. Min skips Narre Warren are a great alternative to overfilling your general waste bins and are perfect for smaller clear-up jobs. In terms of our other sizes, check out our size list below and refer to the infograph here to ascertain how large a skip bin you need. Skip bin hire Narre Warren is affordable and easy to arrange. Contact the team at Best Price Skip Bins of course! You simply won’t find cheaper skip bins than skips Narre Warren because as soon as you order, we do the hard yards and find you the best deal. We’re a family owned and run company so we’re passionate about budgeting. We understand that removing waste is a hassle…that’s why we want to make it as simple and cheap as possible for our customers. Just pop over to our easy-to-use online booking form and once you’ve put in your postcode , you will be asked some simple questions regarding your rubbish type. Then it’s a matter of waiting for your skip bin to arrive! It’s super-fast and convenient. Yes! It’s the best way because it’s the cleanest, most convenient and through us…the cheapest skip hire you’ll find. We even provide ramps with some of our models. This is to ensure that you can easily and safely load up even heavy waste with the aid of a wheelbarrow. Far simpler than making multiple trips to the local dump! Not to mention the dumping fees, needing to reverse a trailer or even having to hire a trailer in the first place. Just hire a skip and be done! Skip hire Narre Warren is convenient and affordable. Book your skip hire Narre Warren today. Do I need a council permit for a skip bins Narre Warren? Not if you plan to put the skip bin on your own property you don’t. If you do want to place the skip on public land, then you will need a permit. Permits are easy to arrange however and can be organised here through the City of Casey. To find a cheap skip bin, just go online 24/7 and get a quote from us. It’s so simple and so affordable that you’ll wonder why you didn’t do it sooner!